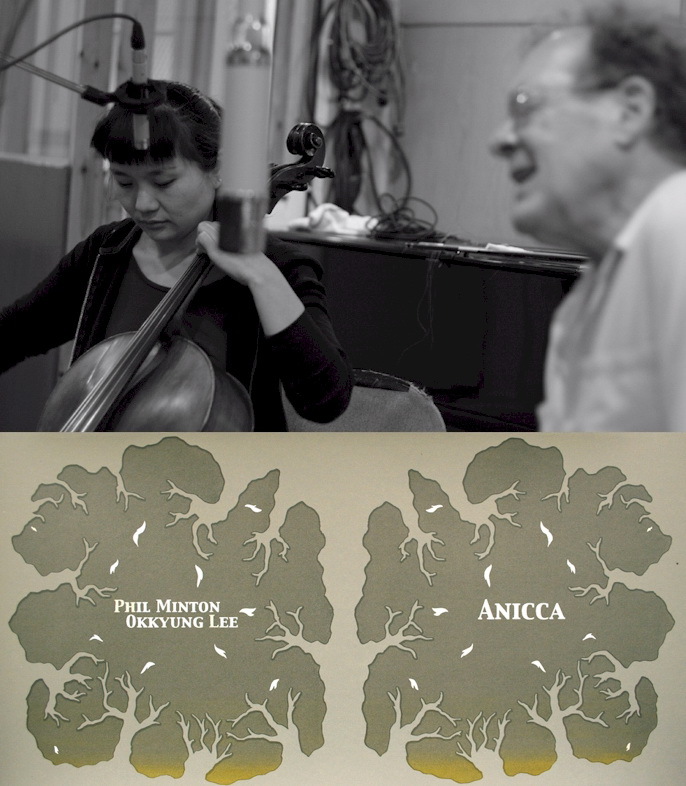 Tra le più recenti uscite per la londinese Dancing Wayang - etichetta che promuove e riprende sedute di improvvisazione presso gli Eastcote Studios - c'è Anicca, il debutto a due di Phil Minton e Okkyung Lee. Edizione in vinile con elegante copertina serigrafata, a tiratura limitata e con un regalino speciale per i primissimi acquirenti, com'è ormai tradizione della casa. Recorded acoustically and with the aim to capturing the rawest, smallest, biggest and most beautiful sounds of their respective instruments, Okkyung’s cello and Phil’s voice sound nothing like they should. At their most powerful the resonance of both strings and vocal cords trade places, merge and tangle to create a storm, a wave and a crackling fire. But each gust of the wind is preceded and followed by the hush tones of two strangers meeting for the first time. Listening to Anicca is witnessing a constant state of flux. Just as the strings meet in celebration, turmoil pulls them apart and therein lies the thrill of this music. The first 100 copies of the LP come with a bonus 3" CDR which features one additional duo track and two solo pieces from the studio sessions.